Arrived via Amazon today : yet another crafting book for my bookshelf! The title of this book says it all. Some of the projects in this book are so cute it hurts! 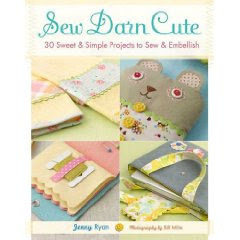 Author and seamstress Jenny Ryan knows about cute: you'll find lots of Japanese Zakka fabrics here; the ever-popular yo-yo's in various sizes; and one of my favourites - tote bags with appliquèd cupcakes. Too cute! Projects for all sewing levels are included: from headbands to handbags, from baby bibs to doll's quilts - this adorable book has it all. 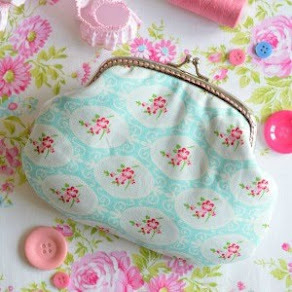 The close-up shots are gorgeous, and just looking at the pretty fabrics really get my 'creative juices' flowing. Books like these keep me motivated and inpire me to think up my own creations (that's the best part). 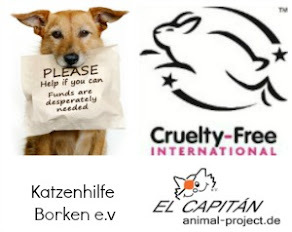 Before I sign off: I can't seem to load some of my favourite blogs on Entrecard! What's up with that? It's annoying. I've tried opening the blog on my hubby's computer - same thing. Has anyone else experienced this while 'dropping' or is it just me??? I haven't had issues on entrecard today...sorry I can't help. can't wait to see what you create from your inspiring book! You're so creative..!!! I did not have any EC issues this morning but I did have those issues this weekend. No issues with entrecard for me..YET..lol, hope it works out for you! The title of that book says it all! I sure hope you show us what you make! As for EC, I haven't had any trouble yet today so don't have any solutions. 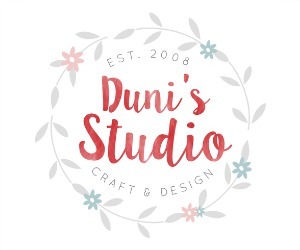 I would love to be talented as you are Duni, well I never really liked to sew, but I do like to crochet I just need to be better at it, lol! That book looks like it has some wonderful goodies in there. as far as entrecard, i haven't been dropping much lately so i dunno--hope it clears up soon for you though! What are you going to make !!!! Did you figure out your EC issue? I usually have trouble with at least one blog a day. It's frustrating, because I like to be constant with my favorite blogs. Ja,wieder ein tolles Buch,man könnte arm werden,dazu noch meine Fachbücher ..lach...wünsche Dir ein schönes Wochenende Duni! The book looks so inviting, even to a non-crafter like myself. I'll be looking forward you more of your creations that are inspired by this this craft book. As for EC, I don't drop many EC cards, so I haven't had any experience with the same problem you're having. I hope it gets resolved soon.